Ato Yilma Bekele stated in his article titled “The TPLF empire strikes back “ that TPLFs are illiterate. If Mr Bekele attacks TPLF for their weaknesses, I would have supported him, but insulting them as illiterate is not politics. It is just the Addis Ababa thing of woyane, tigre… story. Ato Yilam appears to manifest his hatred of TPLF for who they are, not for the politics. Ato Bekele, who are you? Where did you study? What is your literacy? Spewing venom of hatred by your mouth? Is that literacy? It is people like you who created TPLF? Why are you pushing us to the edges? We are asking the regime to be better but you are telling us you are literate and they are illiterate. Do you have that PHD thing? Ethiopia has done long ago better when there were no PHDS. You say TPLF is benefiting advanced military training from outside, how would that affect you? Is not a strong defense force for Ethiopia a good one, because you hate TPLF, you hate everything? Is that politics? You must hate the things which are wrong; you must not hate the things which benefit the country. Whether Ethiopia is ruled by you or by Meles, the country wills benefits when it is military strong. You condemn the world for giving development aid to Ethiopia? Ethiopians starve everyday, the world knows that and they are giving them handouts to live, if you oppose that what is your alternative? Can you stay without eating one day? Can you? Or does it mean that if you are okay, the rest must die of hunger? Do you want to stop aid, and then come up with alternatives to feed your people? Otherwise, your need to filter your noise so that we can learn something good from you. You may not know, the things you are writing will not weaken your enemy because there is no wisdom in it. Hatred does not weaken your enemy; hatred weakens the one who hate and the one who have no wisdom. If we do not control our tongue, it is the mistress of death and life, the tongue of human being consumes lives everyday. We need to filter what we say including myself. Otherwise, if we make useless noises, useless noises have given EPRDF more chances. If Kinjit had a small bean of wisdom, it could have done away EPRDF, but because of the absence of wisdom, kinjit played a game against itself. Ato Yilama, you talking about election 2005, bury that one, it is gone forever. When will Ethiopians move on and work for tomorrow? This is the main problem of Ethiopian. We get stuck in our failures. The so called kinjit are stuck in their failure by blaming everything on Meles. Blame Meles but do not blame him even for your own follies. I have never read an article which says kinjit has done any mistakes. Ethiopia needs better thinkers, Ethiopia does not need self-righteous leaders or politicians. Ato Yilma, you also stated many things about democracy, what is democracy? Yesterday our people were forced to follow communism. We were forced to eat communism without knowing what it is. Now you want to feed Ethiopian another ideology. We must come up with alternative ideologies than forcing our people to eat ideologies which our people do not understand. We need to cook our food our selves. Blaming TPLF for the misfortunes in Ethiopia is a fallacy, who was ruling Ethiopia when millions of people were perishing in Ethiopia? Is it TPLF which had kept quiet while people were starving to death in Wollo, Tigray? Was it TPLF? Who brought the history of famine to Ethiopia? Is it TPLF? I honestly denounce TPLF for keeping alive the famine history, it is 17 years, and TPLF should have done away the famine from Ethiopia by now. 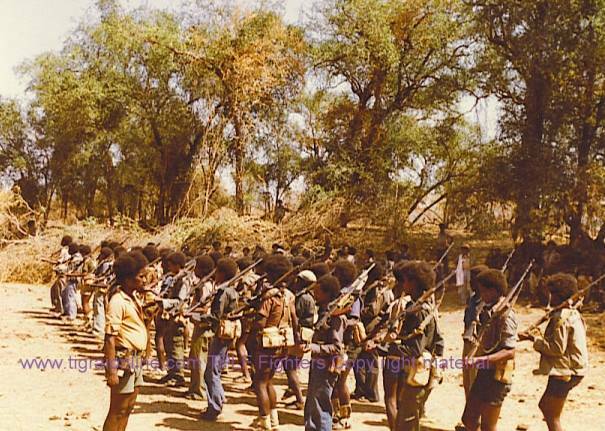 But Meles camp refused to unite the people and to call spade spade to eradicate famine. But TPLF meles camp refused to work with the people and our people are still dying of famine. I strongly condemn this. This could have done away in 5 years if there was unity among Ethiopians. But the Meles camp refused to listen and our people are still starving to death. Mengistu Hailemariam told our people the famine was because of natures imbalance, “ Yeetefetro Mezabat “ Gud eko new, why natures imbalance only in Ethiopia? Mengistu was feeding his soldiers food which was imported for people dying of hunger. History is repeating itself in Ethiopia; prime Meles Zenawi recently stated the same story. We do not need such dishonest and self-righteous leader who can never take stock of their weaknesses. Ethiopia needs better thinker than Ato Yilam and even the EPRDF leaders who have refused to listen to the interest of the 80 million people except imposing their agenda by force. We can only change Ethiopian history if only and only if we work together. Divine wisdom and Justice to Ethiopia.